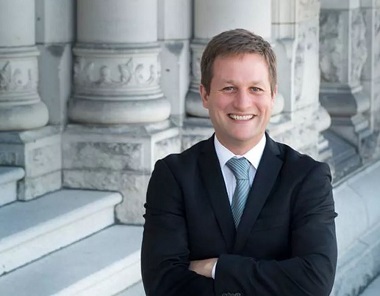 Rob Fleming is the NDP’s new Education Minister. The New Democratic Party has big plans for the province, now that it is back in power after 16 years of Liberal rule. Educational reform is high on its list of priorities, but fortunately it looks as though the party will not go after independent schools. I say fortunately, because BC Teachers Federation president Glen Hansman called earlier this year for an end to public funding of such schools. What we have to tackle first is cleaning up the mess that is the Supreme Court [of Canada] decision. : he said. “It’s an obligation now for the incoming government to restore class size and composition language. I think what people found egregious was government underfunding public education at the same time that it looked like funding was increasing for those partially subsidized private schools in our province. I think that what they really want is a government that is focused on the well-being of public education, a system that continues to serve nearly nine-in-10 kids in our province. I wrote about the media clamour for doing away with private education last fall: Media debate falsely pits public versus private education. A series of stories in The Tyee, Vancouver Magazine, the Globe and Mail, and on CBC Radio offered various challenges to the independent system. We’re going to focus our energy on making substantial new investments in public education. . . . Yeah, we’re not going to change the balance of what we’ve had under governments of different stripes . . . I think people need to understand what private schools . . . look like. I know an awful lot of parents who are involved in Catholic schools – the Catholic school system that’s been going on for over 100 years in BC. I have a working class Catholic school in my own constituency [Victoria-Swan Lake], and these are not elitists, these are people who just have a deep abiding faith. There are Muslim communities, there are Khalsa schools in Surrey and other places that do receive partial tax funding. I’ve talked to public school teachers who don’t necessarily have a problem with private education. They want the public school system improved and they wonder, at a time when there’s not enough being put into the public system, how, if we were to directly transfer 80,000 kids out of the public system into the private system, where the government would come up with an extra 600 million dollars. You know, this week we’ve heard from so many parents. They’re saying that we’re subsidizing schools that they can’t afford to send their children to, while their child’s school may be losing programs or facing closure, so how is private school funding fair to them? I guess you get the argument from private school parents too, who say, look I’ve paid taxes for everybody else’s kids and get, in some cases, a 50 cent dollars [independent school students receive up to 50 per cent of the per-student grant allocated to public schools] in order to send my kid to a local parish school. So everybody contributes to the dollars that go into the public system and the lesser amount that goes into the private system. . . .
B.C.’s New Democrats fully support a parent’s right to choose the education stream for their children, whether it be in independent, faith-based or public schools. We recognize each family has different needs and believe they have the right to choose the school that best suits those needs. We do not have any plans to change the existing funding for independent schools nor the legislation that governs this funding. Our aim if we form government, will be to strengthen and improve our public education system which has been eroded due to a lack of funding. . . .
Look, I get it. The notion feels good to some in an “eat the rich” sort of way. BCTF officials and others on the left like to mischaracterize all parents of private-school kids as multi-millionaires, undeserving of public support, even though they know it isn’t true. . . .
Clark’s whole article makes a lot of sense. As I said last September, it is understood that not all Christians support independent schools. There is, rightly, considerable support for the public system. But we are fortunate that both major parties are firmly on record as supporting both the public and private systems. ← Will Bill C-51 permit protests in church services?